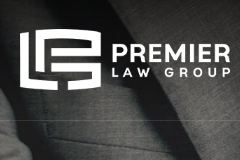 Mauricio is the founder and CEO of Premier Law Group, a premier boutique securities law firm. 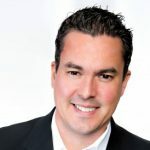 As a nationally recognized expert on private placements, Mauricio works with elite entrepreneurs who seek to increase and protect their wealth through syndications. Mauricio specializes in Reg D exempt offerings and educates investors from around the world on how to navigate the complex world of securities laws. Known for taking complex matters and making them simple to understand, Mauricio is sometimes, jokingly, referred to as one of the few lawyers who actually speaks English. Mauricio is also as regular contributor to The Real Estate Guys™ Radio show and is Robert Helms’ personal advisor. Twice a year, Mauricio joins Ken McElroy and The Real Estate Guys™ to teach a few hundred students, the ‘Secrets of Successful Syndication’ a comprehensive course on raising capital for entrepreneurs. Once a year, Mauricio shares the stage with the likes of Robert Kiyosaki (Rich Dad, Poor Dad, best-selling financial author of all times), Tom Hopkins, Simon Black, Peter Schiff, Chris Martenson, and others as a faculty member of the ‘Summit at Sea’.